This month we are finishing up the 1st border. 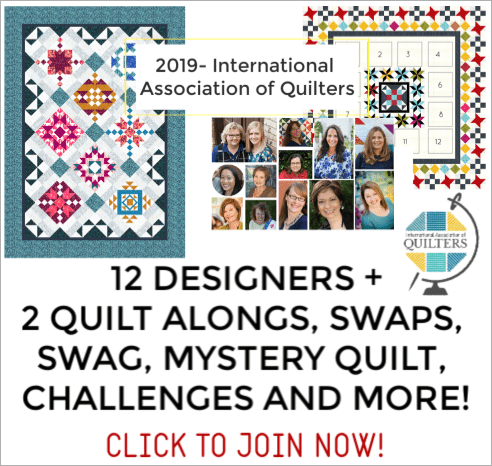 Including sewing together our corner blocks to the previous quilt blocks and also the outer border. Simple to do and if you are a little behind, this month is a perfect one to catch up on. 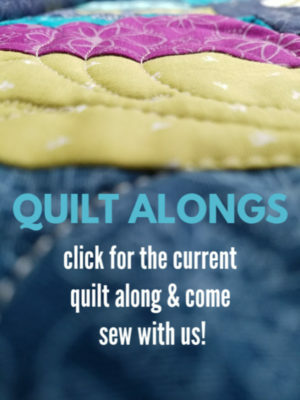 Next month we will hit the applique corners….so not a lot of additional piecing. 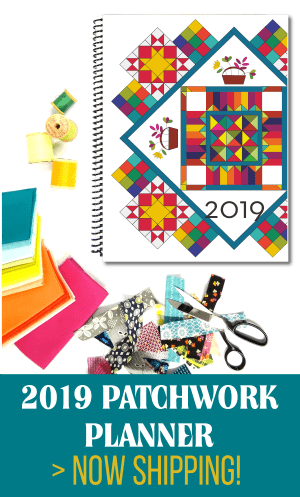 The pattern is included in the 2019 Patchwork Planner. You can find all the tracking, instructions and template within the planner. Every month has the breakdown of the instructions and steps for that month. Both layouts are included in the planner as well. June will be the last step for just this option. This option will go from July to October. Materials list has all supplies needed for both layouts. Applique: choose either wool or cotton fabric applique. 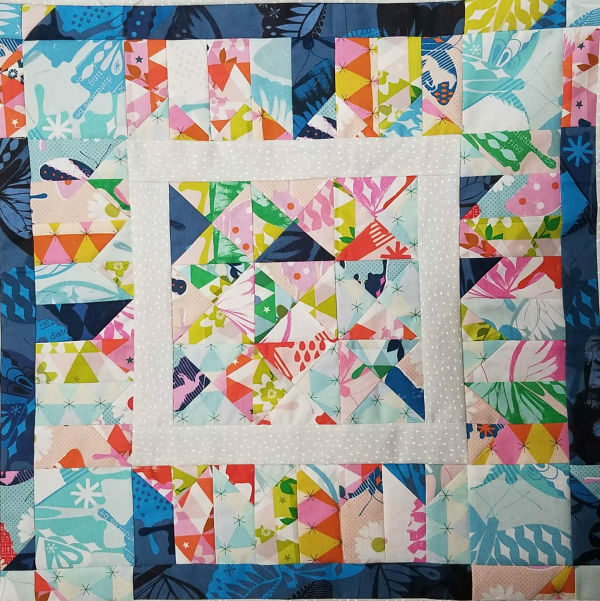 Applique templates don’t have seam allowance added. When using cotton for applique you can use heat-n-bond lite to secure your fabric. 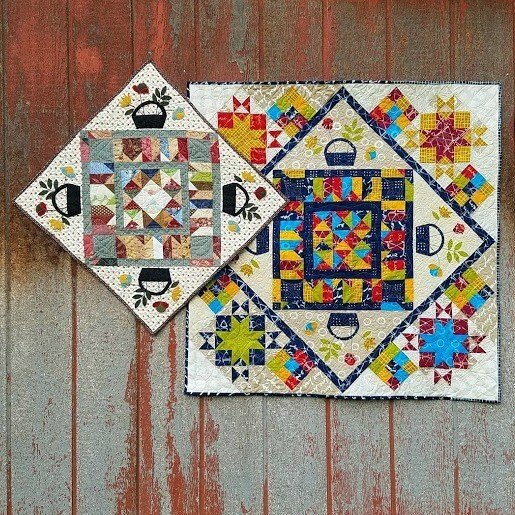 If you are using needle turn applique, cut your fabric 1/4” larger than the templates. I’ll be announcing each month in each of those places! 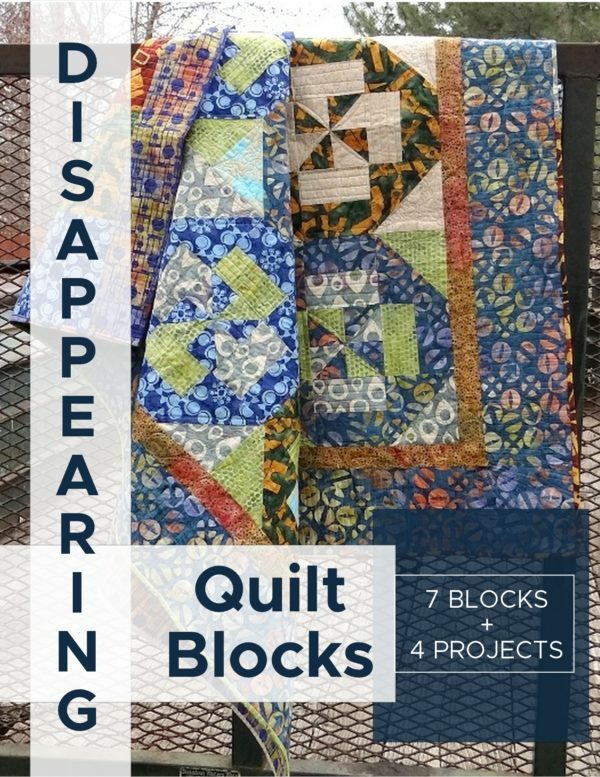 For all posts in this series, visit the quilt along here. We’ll see you the second Monday of each month! 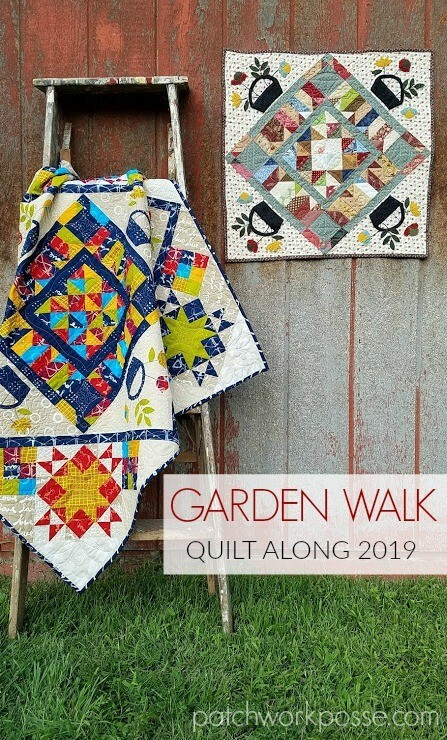 Don’t forget that you can keep everything together for the year with the 2019 Calendar!